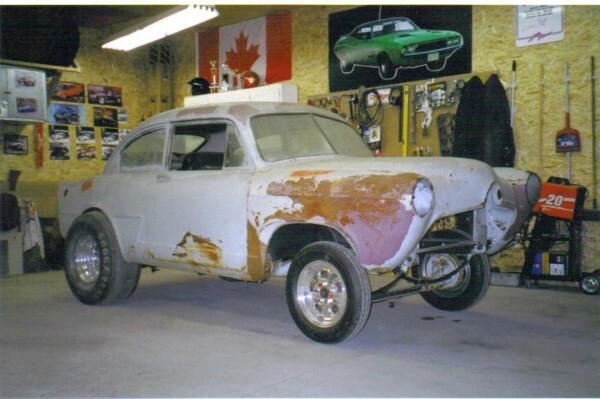 1953 Henry J Corsair project. 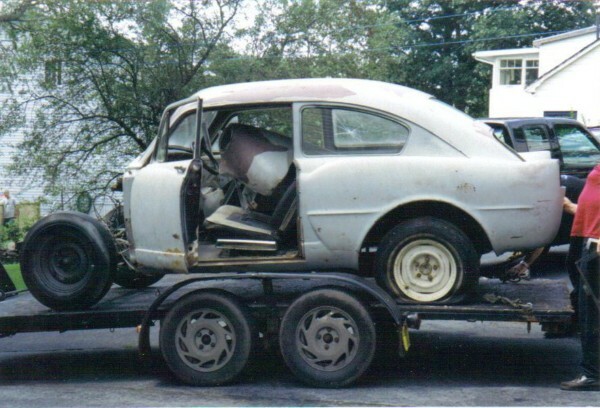 This car once belonged to my uncle David who raced it in the late 60's and early 70's. Some of my first drag racing experiences were going with him to the race track and watching him race. I sure was disappointed when he sold the car in the late 70's. 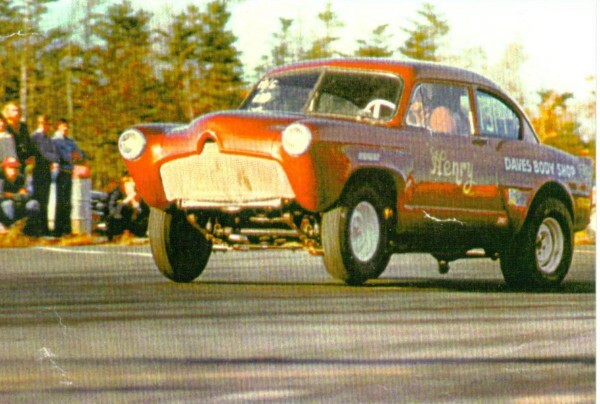 Fast forward to 2004 and while my family and I were visiting my uncle in Nova Scotia,Canada we starting talking about the old Henry J and I told my aunt and uncle if I could ever find that car I would love to have and race it like I remember my uncle doing when I was kid.After returning to Ontario,Canada I received a call about a month later from my dad and his first words were "We found Henry!". Needless to say I was ecstatic and told him I have to have it. I drove down the following summer and picked up the Henry J and have been slowly working away at getting it back to race track worthy. I hope to have the car ready to race again by summer of 2007. I will be trying to keep it looking as much as possible as when my uncle David raced it with the exception of the motor. Henry's going to be powered by a blown 331 Hemi now.